Home 2017 January 24 What We Can Do To Stop Gangs? “Criminals gang membership increased as much as 40% in the United States during the past three years, according to the FBI report released friday. An estimated 1.4 million people are active in more than 33,000 streets, prison, and outlaw motorcycle gangs across the country”(Freidon). Gangs are really an issue in the United States and we cannot let them cause any more violence or let them involve the younger generation. 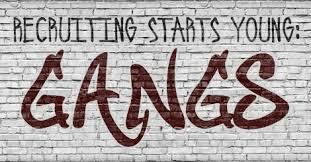 Gangs create more violence in a community and do not protect a community because of their desire for power and control which is why we need programs in order to prevent young children from joining gangs. Adolescents usually join a gang for respect, money, and protection. We cannot let minors join gangs because some usually end up going to juvenile hall, prison, or end up getting killed and we don’t want this to occur. In order to prevent this, people of all ages usually join gang prevention communities to stop gangs from spreading violence into our streets and our youths. Gang prevention usually target adolescents since they’re more likely to join gangs. My uncle Sang, who’s 25 years old, has been living in Oakland ever since he was born and has seen his friends who are affiliated with gangs. So when the question was asked, “Do you believe gangs will stop spreading violence?” Sang replied, “No because the younger generation will learn from the older generation”(Saephan). Children learn from adults to prepare them for the outside world. The more gangs there are the less chance of children succeeding in life and society. The older generations must keep the younger generations occupied with family activities, schoolwork, after school programs and other things to keep them away from gangs and other bad decisions. There will be times where people young or old will make bad decisions but will learn from their mistakes. Closely monitoring where their child is and what they are doing. Involving them in extracurricular activities such as after school programs, or athletics, art, community organization or religious groups. Meeting their children’s friends and their parents. Not allowing children to wear, write, or gesture any gang-associated graffiti, markings, signs, or symbols. Educating your child about the potential negative consequences of gang involvement and criminal behavior. Letting your child know that gang members can end up injured, dead or in jail. “(AACAP). This is important because if parents follow these risk factors, chances of their offsprings joining a gang will be low and they can have a better future and education. Youths with better monitoring usually end up succeeding in life better than others without it. One can argue that youths only join gangs for popularity and identity. In “Why Young People Join Gangs and What You Can Do” by General Reasons for Gang Membership, “The primary age group of gang members ranges generally from 13 to 21 years” and continues “Interviews of gang members indicate that joining a gang is seldom understood by the gang members themselves, but can vary from brotherhood to self-preservation as identity, protection, fellowship, and intimidation” (Violence Prevention Institute). This is important because youth needs the attention from their parents, and protection from friends and family. Even though this talks about gangs, this is weak because it only talks about how adolescents join gangs but doesn’t tell us the reason of why they’ll join. In conclusion, gangs in our community needs to stop because they affecting the younger generation and we don’t want that to happen. Which is why we need more communities and keep them off the streets. After school keeps children away from the streets, supervised, and educated. What We Can Do To Stop Gangs? by Darriven is licensed under a Creative Commons Attribution-ShareAlike 4.0 International License. I really enjoyed reading this! Gang violence has been a continuing issue among communities for years now and seems to never stop and just keeps growing. I agree with what you mentioned about enforcing programs to the youth in order to prevent them from joining a gang. It should be a goal to help these young people find other ways of dealing with their life problems or goals instead of joining a gang. I also agree with the fact that parents have a lot to do with gang temptation. Without parental guidance or support, children tend to do things in a way that should not be done, such as joining a gang. I disagree with you that your title seems unnecessary.